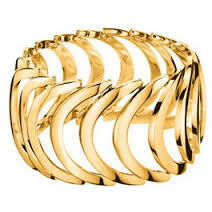 RING OF THE CALVIN KLEIN BRAND ALL �STEEL PLATED WITH 18K GOLD. THE TAMA�OR IS THE N�MERE 10 BAT TAT�N 'As the universal gem'. AMAZING DESIGN�O.